Chakra and Endocrine system, are totally different things altogether, but then how they are related to each other, how they work, what are their respective role? Let’s see ..
Chakra is a Sanskrit word, which means a wheel or a circle or a spinning wheel of light, vortex or whirlpool. As terminology for different subjects differs, the confusion is inevitable. As water is called Jal in Sanskrit, Pani in Hindi, H2O in Chemistry, Czech call it Voda, Italian as Acqua, and to my surprise, it literally calls “Air” in Malay and Indonesian language. So actually it is difficult to differentiate a term just on the basis of a name, we have to take into consideration its nature and its functions. There are many known and unknown chakras, chakras are located in the Subtle body which aligns the spine, starting from the base of the spine through to the crown of the head, but broadly are defined into seven main Chakras. The elaborate description can be found in many Indian religious scriptures, Yoga Scriptures such as Hath Yoga Pradipika (HYP) by Swatmarama, Hindu Tantra, Vajrayana, Qigong, Indonesian and Malaysian metaphysics. Each chakra has a specific color, specific beej mantra, and some geometrical designs in it. Every chakra has a defined number of lotus petals. The lower chakras (according to the positioning of chakras, the term is not used in the sense of inferior ) have fewer petals, with the crown chakra having 1000 petals. The more petals the lotus flower has, the higher the frequency. In many Cultures mainly in Hinduism and Buddhism, the lotus is considered as a sacred flower and a powerful symbol of spirituality. As lotus emerges from the dirty water to become pious flower often surrendered to Deity, the individual consciousness also gets purified at each level on its path to enlightenment. Crown Chakra with 1000 petals symbolizes enlightenment. 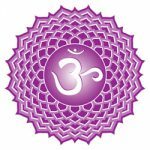 Sahasrara Chakra/ Crown Chakra located at the top of the head, related to Divine Consciousness, with 1000 petals. Agnya Chakra/third eye Chakra located in eyebrow center, related to intuition and self-realization, with 2 petals. Vishuddhi Chakra/Throat Chakra located at throat region, right to speak one’s belief, with 16 petals. Anahat Chakra/ Heart chakra located in the center of the chest, acceptance of oneself, 12 petals. Manipur Chakra located above the naval, related to self-confidence and ego power, with 10 petals. Swadhisthan chakra located at lower abdomen, connected to our sensing abilities and issues related to feelings, with 6 petals. Mooladhar chakra at the base of the spine related to the material and physical world, with 4 petals. The endocrine system refers to a collection of glands and is a ductless organism that hormones directly into the Circulatory System. The endocrine system is the most remarkable system in a human body as its proper functioning is of utmost importance for growth and development of body, proper metabolism, reproduction, and sleep. These organs when are blocked or energetically impaired, imbalance creates in the hormonal level and are responsible for physical problems and appearance of diseases. The major endocrine glands are Pineal, Pituitary, Thyroid-Para thyroid, Thymus, Adrenal, Pancreas, and reproductive system. Now, have a look at the placement of endocrine glands in the human body, and you will find they are almost exactly positioned near the Chakra System. A number of petals in the chakras are also of great importance. They relate to the human spine and vertebras. Human Spine consists of 24 vertebrae and that 24 Nerve pairs ( 48 nerves ) emanate from those 24 vertebrae. 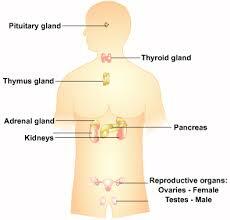 To conclude we can say that the Endocrine glands are a physical projection of the Chakra system. The pineal gland is a physical projection of Sahasrara Chakra, Pituitary gland is of Ajna chakra, the thyroid gland is of Vishudhi Chakra and so on. We can also safely say that Nervous system in the human body is the physical projection of Yogic Nadi system, primarily, Ida, Pingala, and Sushumna. Yogic saints were Scientists of their time and they discovered many mysteries of this Universe, and literally written down in the forms of Vedas, Upanishads and much more. I think it’s just their terminology, that we misinterpret . Many types of research clearly indicate that the endocrine glands are the physical projection of the chakras. Scientific research is also in favor of the existence of chakras. 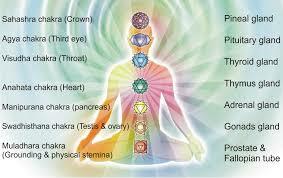 We can effectively use different descriptions of Chakras for the benefit in the improvement of the health of a person. Chakras provide us a color description, beej mantra, geometrical patterns, so we can use color therapy, sound therapy, mantra therapy effectively to improve the vibration of that particular Chakra, which results in the improved functions of the Endocrine Gland and more healthy human society. Hi, thanks for your comments, it’s all my pleasure. Namaste Pospi, I am glad you like it. My sister and I were just talking about this the other day. Amazing how much our spirituality is connected to our physical health. Great article – very well written and informative. Yes Katrina, you are absolutely true ! Our Physical body is just the representation of our other subtle bodies like mental, emotional and so on. glad you like it. This is so interesting! I’m so intrigued by chakras. What a good read! Thanks Kat, Chakras are the energy centers in our body, so are the most important ! This is a fascinating post. I learned so much. This system is so important to the healthy body functions. Namaste Keith, healthy endocrine system is a must for a healthy functioning of our system, but Chakras are the subtle energy centers. I wish people would turn to traditional therapies which have been around for years – I know a lady who got pregnant after years of trying after having reiki! Magical! Yes Jen, Reiki gives you amazing results, but it’s not magic. It’s a spiritual healing, you have to experience it to believe it. Wow.. Very interesting. I didnt know most of it and i am sure its going to be very useful to me… Reiki does seem to be a useful technique and i should try it..
Definitely, at least one should give it a try ! Reiki can help you in in numerous ways. That was some really good information. I am a great fan of such therapies. Thank you for sharing! Glad to know Sumita that you like alternative therapies like Reiki. Till date, I don’t know why it’s called Alternative Therapy, though they exist much before the medicine !! This is a great article. I am very curious about therapies like this. I might try one soon. Such a very interesting article and topic! I knew about reiki before, but I haven’t read so much about it in detailed. I did knew about the endocrine system, but the chakra was something new to me and I was able to understand more how they relate. The images were very illustrative and really helped me to understand better the concepts you explained. Now I am looking forward to learning more about Reiki through your website. Chakras and the endocrine glands are one and the same, their locations, functionality, are same. It’s the difference in the name which creates confusion. But one should remember that these are major seven chakras, and there are many other subtle chakras in our body. Tons of value to be found on this post on chakra and endocrine system. This is a great and simple to follow guide. 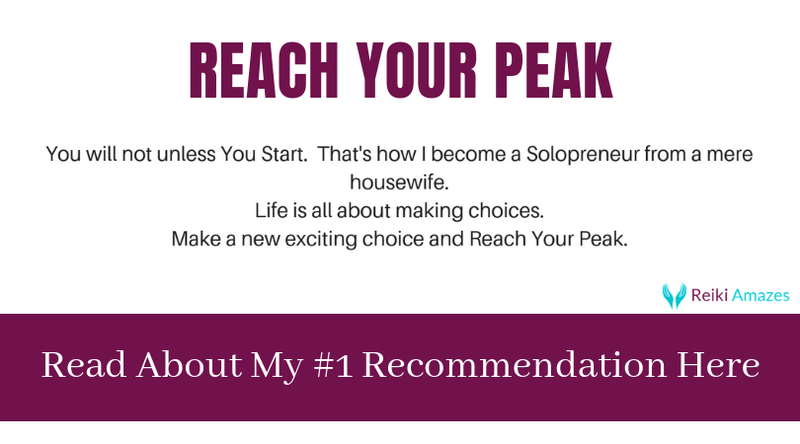 You laid it all out clearly and showed series of examples that helped emphasize your various points. I didn’t know our physical health is connected to our spirituality this much. You have opened my eyes to the beauty of what i fail to know for so many years. Thanks for the live changing sensitization. What we call the Endocrine system today, called as Chakras in the ancient times, so one should not confuse between the two. As Chakras are the energy center, spinning wheel of light, are responsible for certain functions in our body. The health of chakras depends on many factors, but the most important thing that keeps the health of our chakra system is Yoga. Every yogic asana is structured in a way, that while doing the asana, the related chakra gets a contract and expanded, thus improves the overall health. Each chakra is, associated with a particular endocrine gland, and thus makes it important to keep them healthy by practicing, yoga and other healing modalities. Chakras and Endocrine glands are the most important when it comes to the health of a person. So it is important to keep them in a good health condition by practicing yoga, and other healing methods. A very intersting article indeed. I am just getting into spirituality myself. I listen to guided meditation which really helps my anxiety. But until today I didn’t give a whole lot of thought about how much Raiki could help my physical well being. Some say that if you have physical contact with someone every day it can extend your life. Do you believe this is true? Reiki improves your overall health, and improves qualitatively and not quantitively. I absolutely love what I read in this insightful article because it is full of great information. This is fascinating and interesting to me. I have been waiting for this type of article, Chakra serves as an energy centre in our body.taling good care of our health is very important. I didn’t know all this before but am sure it’s going to be helpful to me. 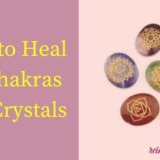 Glad that you like Chakras and Endocrine system, you can practice yoga, meditation or any other healing modality, to keep your health and chakra system sound and healthy. Wow….I was totally oblivious of this much connection between our physical body and spiritual body as well….it both tallies perfectly….truly these yogic saints were truly scientists of their time…I believe there is a lot to learn from them, which is still relevant today, just as you have prove….reiki looks like it’s worth learning, and I’ll gladly be a part of this enlightenment. Reiki is easy to learn, and you will be able to heal yourself and others with the help of Reiki. No doubt, it also helps with the healthy chakra sytem. Even though I would easily get confused with the names of the Chakra,I must admit that it fits perfectly well with the Endocrine system. I have no doubt that these are the same things but with different names and understanding which ends up giving the same results when paired against each other. It then becomes our prerogative to ensure that we can leverage the knowledge of other cultures to effectively tackle any health issues related to the Chakra or Edoncrine systems. We are blessed to have the privilege to share thoughts and knowledge like this. I am moved to do a lot more research and see how the power of the chakras can improve my own Endocrine health. Vapz, really glad that you like the article, and intrigued to do more search on chakra. It’s quite possible to confuse between the chakra names and it’s ok! Wow, this is a great and a fascinating post. There are some really good nuggets of knowledge in this article, so thank you for writing it. 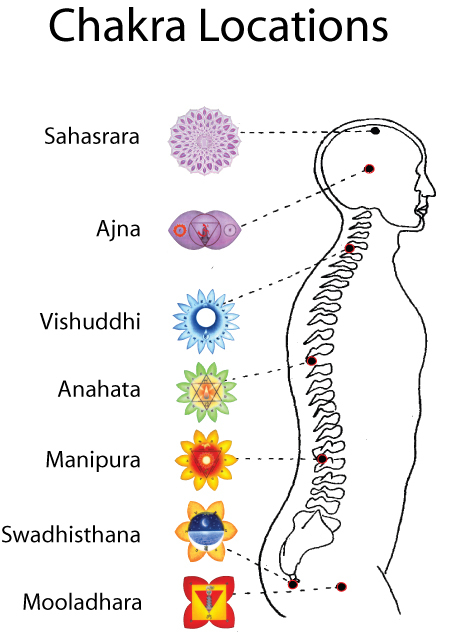 Am really glad knowing the seven chakra location in the body. I really support the fact that define the chakra as an energy center which spins like a wheel and opens like a flower. Metaphysical concepts, however, do not belong purely to the world of spiritual experience; scientific inquiry has in many cases confirmed age-old beliefs.” Yes, Chakras are the energy centers in our body. Also, glad to know that our Physical body is just the representation of our other subtle bodies like mental, emotional. Hope I can get more info on Reiki as a starter? Glad you like the post, and chakras health reflects in our physical body. So it’s important to keep our chakras in a good state.